Holy fudge monkeys! This is some heavy stuff. 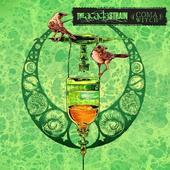 The Acacia Strain are straight up deathcore and they will rumble your organs into goo. This is a dual disc; the first disc is ten tracks of beastly riffs and blast beats merged with growling vocals. The second disc is a ... well, it's hard to explain but here goes: there is deathcore on this twenty-seven minute opus but there is also clean guitar and a story being told by a woman. It's creepy, cool and would be a great mini movie if they decided to expand past the predictable down-tuned guitars. While I'm a listener of deathcore, it's not my drug of choice. It all starts to sound the same after a while. The lyrics are most deviant; good thing they are printed in the CD booklet because it's mostly unintelligible sounds coming from Vincent Bennett. 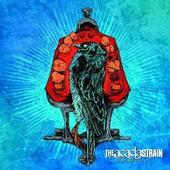 The Acacia Strain: Vincent Bennett - lead vocals; Devin Shidaker - rhythm guitar, lead guitar; Richard Gomez - rhythm guitar, lead guitar; Jack Strong - bass; Kevin Boutot - drums, percussion. 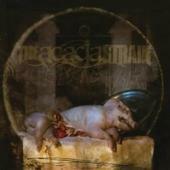 For more information visit http://www.theacaciastrainmusic.com. The Acacia Strain demonstrate a blunt and belligerent melding of modern brutality and metallic melody on the polarizing quartet’s latest endeavor, "Wormwood." Earning their ominous deathcore stripes once again with a bevy of volatile nuances exploding like neutron bombs throughout the duration of the disc, yet not entirely entrenched within the redundancy of it all to lean completely toward a full-on deathcore assault, Vincent Bennett and company provide minor shakeups within their sonically crushing rage-filled rants. The band throws in some Meshuggah-esque odd time signatures and a hint of Crowbar-like nihilism to illicit response from beyond the normal demographic but still make enough room for their patented bombastic breakdowns and punishing low-end wallop to keep the misanthropic Hot Topic folks satisfied. With “The Dead Walk” The Acacia Strain pump up the low end on their brand of metalcore – perhaps taking the genre to new sonic territory even if it isn’t so readily apparent to the casual listener. “The Dead Walk” features material that is slower than usually heard in the genre – this only serves to highlight the instantaneously impressive heaviness. The vocals are solid, deep grunts and growls with a few higher-pitched (relatively speaking) notes thrown in for good measure. The rhythm guitar is compressed sonically yet somehow retains the deep, dirty tone that gives the songs added character. The lead guitar provides underlying atmosphere or solos so brief as to be hardly noticed. The rhythm section is relentless and precise – if you’re thinking that description puts the band in Meshuggah/A Life Once Lost territory your assumption would be correct. “The Dead Walk” can get a bit monotonous at times, especially to the uninitiated. Repeat listens, as usual, lead to better discernment between tracks. Accordingly, “The Dead Walk” disc requires some effort to fully appreciate – but some folks like to earn their musical rewards. “The Dead Walk” was produced by The Acacia Strain and Adam Dutkiewicz. The Acacia Strain: Vincent Bennett on vocals, Daniel DaPonde and Daniel Laskiewic on guitars, Seth Coleman on bass, Kevin Boutot on drums, and Tyler Schiendist as The Man.